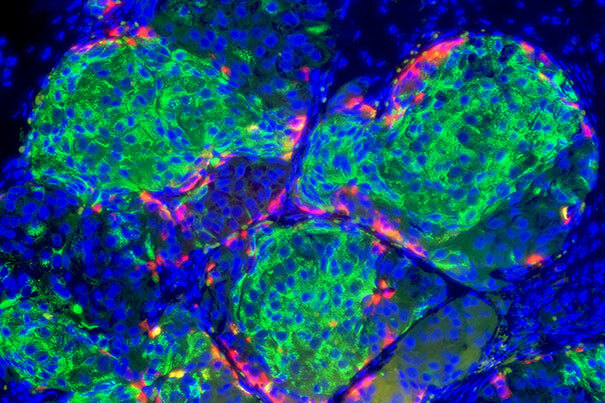 Harvard stem cell researchers announced a giant leap forward in the quest to find a truly effective treatment for type 1 diabetes, a disease that affects an estimated 3 million Americans. 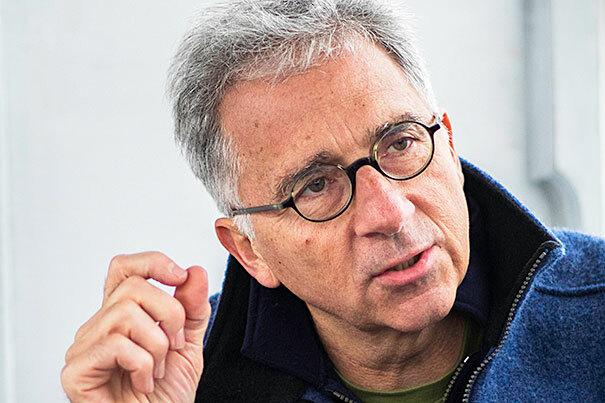 Doug Melton (photo 1), Harvard’s Xander University Professor, and his team announced that they have made a tremendous gain on the type 1 diabetes front. “We are now just one preclinical step away from the finish line,” he said. This slide image (photo 2) depicts human stem cell-derived beta cells that have formed islet-like clusters in a mouse. The cells were transplanted to the kidney capsule. This photo was taken two weeks later. The beta cells are making insulin, curing the diabetes in the mouse. From what I understand they say they are still years away from human clinical trials. What they are doing is great because cells are needed in the millions and millions for encapsulation and whatever else we’re praying for.